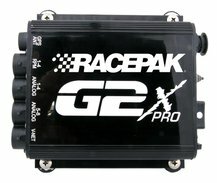 The G2X-Pro monitors up to 71 channels and provides lap and segment times along with GPS speed and track mapping. 1.250" diameter V500/V500SD/G2X-Pro mount brackets. 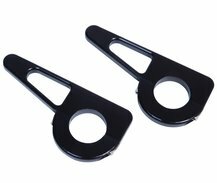 1.500" diameter V500/V500SD/G2X-Pro mount brackets. 1.625" diameter V500/V500SD/G2X-Pro mount brackets. 1.750" diameter V500/V500SD/G2X-Pro mount brackets. The G2X-Pro Puller Kit for multi-engine pulling vehicles monitors up to 71 channels, while GPS provides track position. The IQ3 Logger Dash combines a GPS-enabled data logger with a display dash for closed course and pulling applications. This IQ3 Logger Dash Pulling Kit is optimized for 2WD pulling vehicles. This IQ3 Logger Dash Pulling Kit is optimized for 4WD pulling vehicles. This IQ3 Logger Dash Pulling Kit is optimized for Stock/Super Stock pulling tractors. 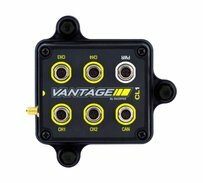 The IQ3 Drag Bracket bundle combines our popular IQ3 Drag Logger Dash with the most common V-Net sensors and a cable. 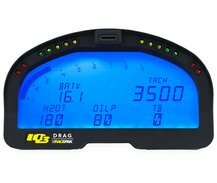 The IQ3D combines the look and feel of our popular IQ3 dash with a robust, built-in data logger for Sportsman Drag Racing. The IQ3SL Street Logger Dash adds data logging to the popular IQ3S Street Display Dash. 3/4" diameter rubber mounting foot for the Sportsman, G2X, G2X Pro, V300SD, V500SD, Pro 1, Pro II and Pro III data loggers. Racepak SD memory cartridge replaces the traditional memory cartridge and USB cartridge reader. Battery for Pro 1, Pro 1A, Pro 1B and Pro II data loggers. This external G-Meter for Pro series data loggers (Pro 1A, Pro 1B and Pro II). Requires a 3-pin cable. 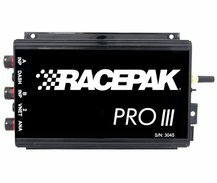 This module allows your Pro III or Pro 3A system to communicate with Racepak's Virtual Dash App. The PRO III Data Logger is designed for use on Top Fuel Dragsters, Nitro Funny Cars and Top Fuel Hydros. Communicate wirelessly with your Pro III or Pro IIIA data logger. 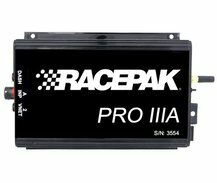 The PRO IIIA Data Logger is designed for use on Alcohol Dragsters and Funny Cars as well as Alcohol Hydros and Flats. The PRO IIIA Nostalgia Data Logger is designed for use Nostalgia Top Fuel Dragsters and Funny Cars. The Racepak Emergency Kit (REK) contains essential spare Racepak components that any racer who should keep handy. This 8 GB SD Memory Card used internally to store and download data from our SD-series loggers. Two V-Net channel upgrade for the Sportsman Data Logger. Requires System ID and current number of channels from Sportsman. Four V-Net channel upgrade for the Sportsman Data Logger. Requires System ID and current number of channels from Sportsman. 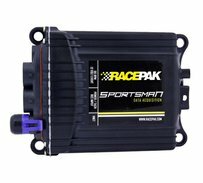 The Sportsman Data Logger records Engine and Driveshaft RPM, Battery Voltage, 2 G-meters and up to six V-Net channels. Spring loaded momentary button typically used as a record button or to change display pages on a Racepak digital dash. 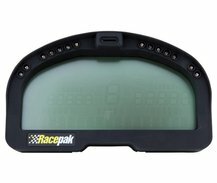 This module communicates with Racepak's Virtual Dash App, turning your wireless device into a virtual IQ3 dash. 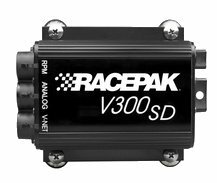 V300SD data logger commonly used for Pro Stock, Pro Modified and many Sportsman classes. Comes with DataLink Lite software. V300SD data logger commonly used for Pro Stock, Pro Modified and many Sportsman classes. Comes with DataLink Standard software. V300SD data logger commonly used for Motorcycle applications. Comes with DataLink Lite software. V300SD data logger commonly used for Motorcycle applications. Comes with DataLink Standard software. 1.250" diameter V300/V300SD mount brackets. 1.500" diameter V300/V300SD mount brackets. 1.625" diameter V300/V300SD mount brackets. 1.750" diameter V300/V300SD mount brackets. 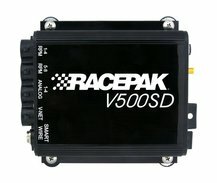 V500SD data logger commonly used for Pro Stock, Pro Modified and many Sportsman classes. Comes with DataLink Standard software. 24" GPS Antenna extension for use with the Vantage CL1. To locate the data recorder best suited to your application, consult the chart below to select your sport and vehicle type. 2. Look to the right of your chosen application to find the colored boxes. These boxes intersect with columns that are aligned with the data recorders best suited for your application.